Beauty and strength – elegance and distinction – masterpiece and innovative engineering. This is Westbury Aluminum Railing. With a variety of designs, colors and textures you’ll find the perfect railings for your project. Through years of partnership and hard work, Good’s Millwork has grown to serve its customers with high quality and care. For the finest woods… It’s Good’s! Sophistication is Dixie Pacific’s middle name. All construction tools have been designed by architects, homeowners and builders, built with your satisfaction in mind. From wood columns to posts, Dixie Pacific can support and guide your projects. 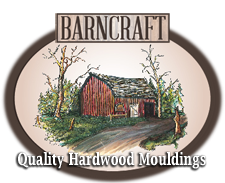 From their barn to your palace, Barncraft delivers quality molding and hardwoods fit to impress. Stair parts have never been more stylish. Crown Heritage builds distinct style and leads the industry with its patented Crown System that provides perfect alignment to any traditional stair or railing. 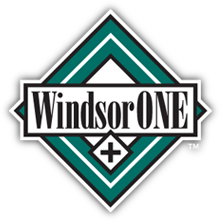 Builders choose WindsorONE because every product is smooth, straight and comes with an industry leading prime coat. Craftsmanship and attention to detail has placed the team at WindsorONE as a leading manufacturer in exterior/interior trim market for years. With a heritage dating to 1874, WM Coffman’s Premium Stair Parts Collection contains iron and wood components recognized by consumers nationwide for their quality, style and breadth of design. Specialty Stairs & Rails provides custom stairs and stair parts for commercial, industrial and residential projects from their facilities in Farmingdale, New Jersey and Lebanon, MO.